Svetlana Čizmić, PhD is full professor at Department of psychology, Faculty of Philosophy, University of Belgrade. Her areas of specializations include work stress, organizational behaviour and change, well-being at work, human resources management, organizational research, human factor and ergonomics. She has rich experience as HR external consultant and managerial experience in higher education. Svetlana Čizmić has more than 200 published research works. 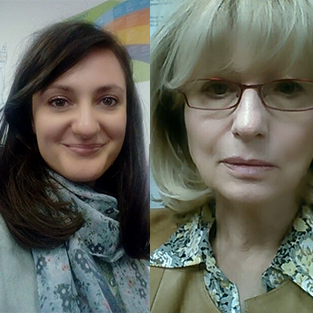 Milica Vukelić, PhD is assistent professor at Department of psychology, Faculty of Philosophy, University of Belgrade. Her areas of specializations include work stress, organizational behaviour and change, well-being at work, human resources management, organizational research, consumer research and human factor and ergonomics. She is experienced research and HR consultant. Milica has more than 50 published research works. Employee wellbeing is a state in which employees experience pleasant emotions that enable them to be completely engaged in work activities. Fast IT development has been reconfiguring labour market by creating new jobs and by changing work environments. It has linked people from all continents, allowing them to communicate easily within a virtual world. New technologies are an indispensable partner in the process of job search, recruitment and selection. Nowadays, it is HR imperative to use different software applications in analysing and developing human capital. Omnipresent social networks enable business to communicate with clients more directly, crowdsourcing for business ideas, improving products and services. Using digital technology enables employees to work in flexible and enjoyable workspace without geographical limits. Even though IT has brought obvious benefits, it has also brought some serious challenges regarding employees' health and well-being. In the last few years, we are facing some serious problems that emerged as a consequence of mismanaged technological interventions. They have led to blurring the line between work and private life. Work became intensified with "never-ending" employee availability, making mounting workloads the fact of life. Some new work stressors, such as technostress and workplace cyber-bullying emerged. Solving these problems is a momentous challenge for experts from various scientific fields. The scientific endeavours have to point to the ways in which technology could be brought back to the role of improving work performance in a way that would enhance human wellbeing and make employees enthusiastic about their future in the digital age. Copyright © 2019 RT-RK Institute for Computer Based Systems. All Rights Reserved.